20 PC. GIGANTIC BEACH SET | American Plastic Toys Inc.
Big fun guaranteed! 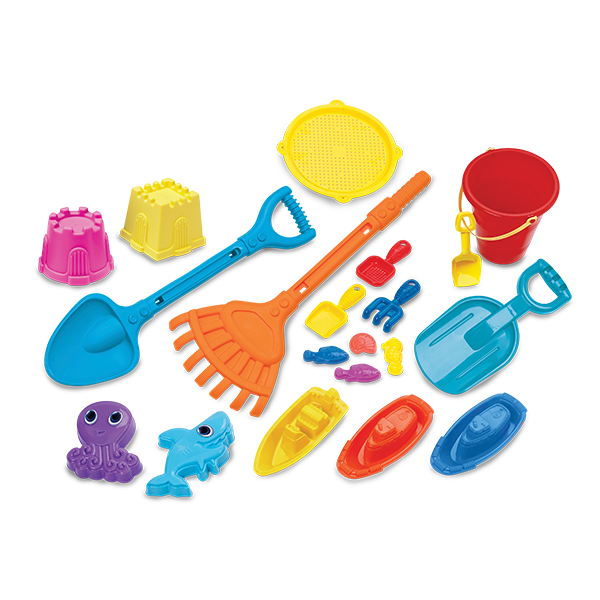 This 20-piece beach set has everything for a day at the beach, including shovels, pails, sandcastle molds, and more.